“Inequality for All” is set to open in theatres Friday, September 27, 2013. Directed by Jacob Kornbluth, the film aims to be a game-changer in our national discussion of income inequality, says broadcast journalist Bill Moyers, who recently sat down with Reich to talk about the film. 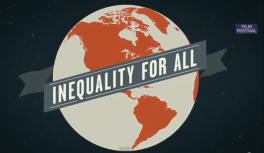 Click here to watch the “Inequality for All” trailer.